Hilton Garden Inn Macon/Mercer University Macon, Hotel null. Limited Time Offer! Hilton Garden Inn Macon/Mercer University. 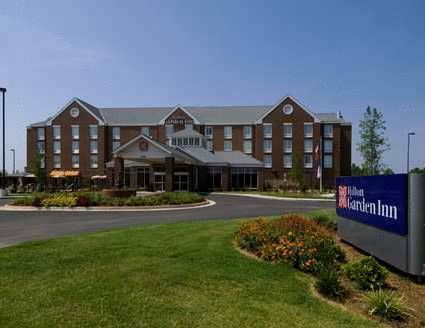 The 3-star apart-hotel,hotel "Hilton Garden Inn Macon/Mercer University" is an ideal pied-a-terre from which to discover Macon. Thanks to the relieving air conditioning, the temperature of the rooms is never uncomfortable. You can take a swim in the outdoor pool. The facilities include a gym where you have the opportunity to exercise on your own. In the residence, visitors will find a jacuzzi, perfect for relaxing. There is no need to go out for dinner as there is an onsite restaurant. For a drink after dinner, you can visit the lounge bar. If you would like to share your experiences online, there is free Internet access available.